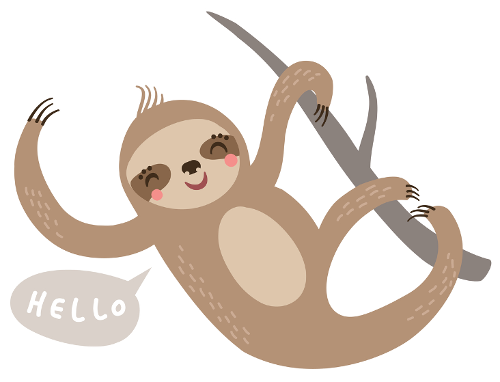 Do you want to express your love for sloths in all aspects of your life? Do you find yourself without a method of carrying your essentials on the go but still want to demonstrate your love for a certain slow moving animal in the process? Don’t worry, we’ve got you covered! 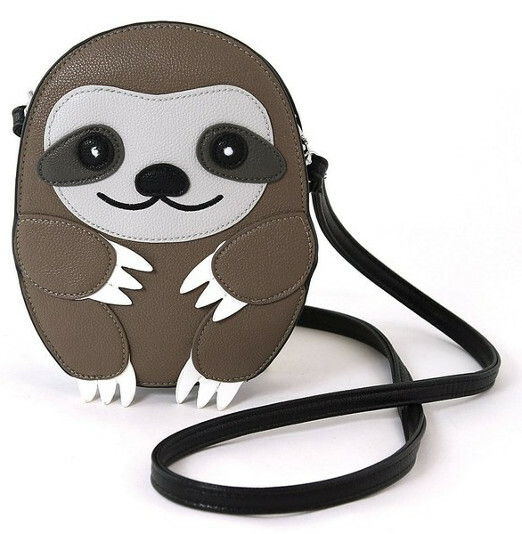 Here are 6 sloth bags that you will absolutely love! Doesn’t everyone want a bag with their favourite lazy animal poking out? How could you resist that little slothy face! This cute canvas bag is the perfect day bag for on the go! The interior of this bag has 2 pockets and 2 zip up pocket ensuring there is lots of room for your stuff! This striking waterproof laptop sleeve will keep your laptop safe and sound in style! With the cool vibrant colours and adorable design this pouch will be sure to turn heads! This laptop cover also features a double zip design making it more convenient. It’s lightweight and durable making it perfect for someone who often transports their laptop about. This large tote bag would be perfect for a day on the go or at the beach! 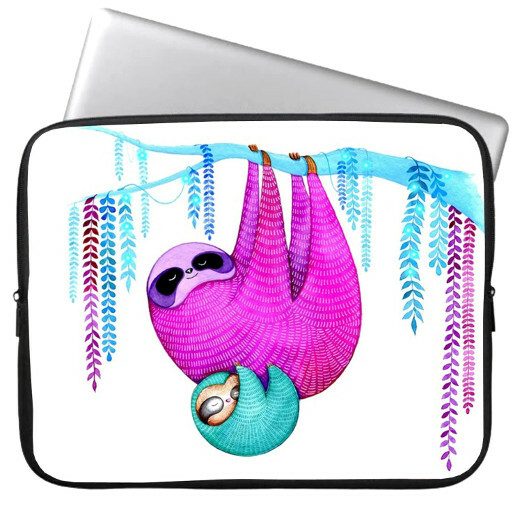 We love this cute sloth painting design and vivid background colour. This bag has inner pockets and a zip up pocket for all your lipglosses, money and rubbish! The top of the bag zips up which makes your items inside safer. 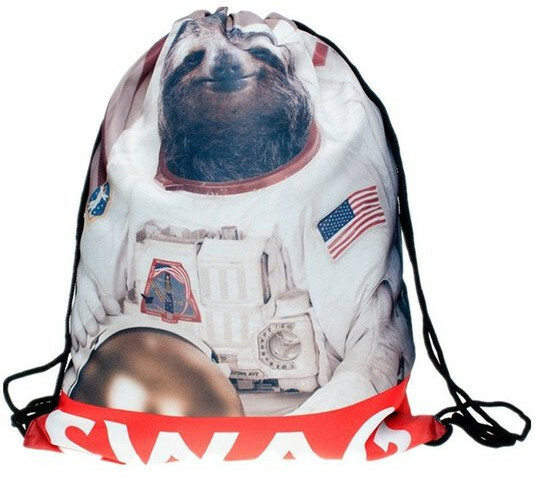 If only we could send sloth into space, right? This drawstring bag is perfect for going to the gym (something that we can;t imagine our favourite adorable creatures doing). You need this bad – how could you say no to that little majestic face? This small shoulder bag is perfect for your bare essentials when going it. It’s the perfect size for your purse, keys and phone which is all you really need! This adorable little bag zips up for extra safety and has a pocket in the rear for more space. 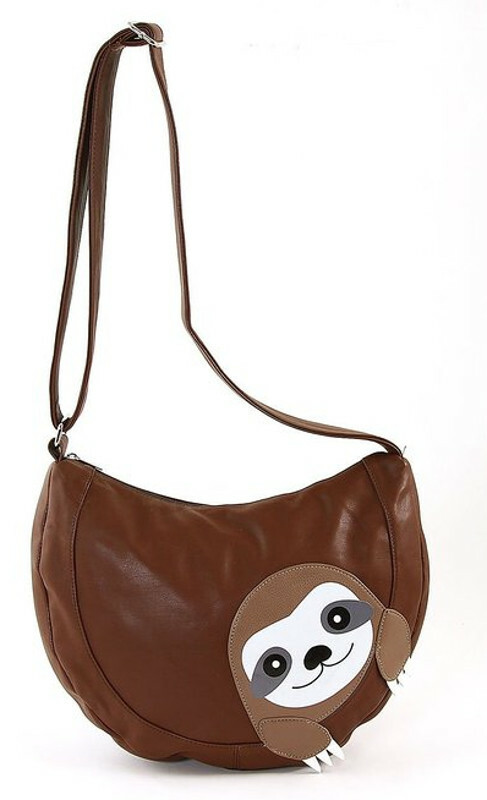 We love this large crossbody shoulder bag with the adorable peeking sloth! This bag would be perfect as more of a general handbag as it provides a lot of space and safety. With an adjustable strap this bag would be perfect for anyone and everyone! It’s also lightweight making it perfect for longs days out! That sums up our top 6 list of sloth bags! 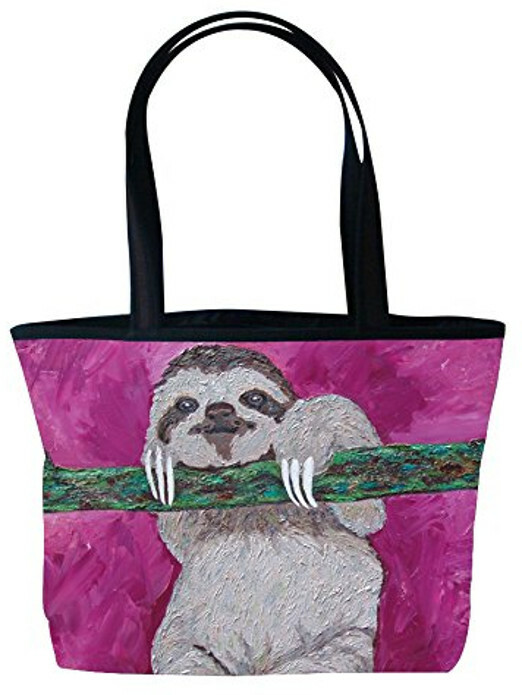 We hope you found at least one sloth bag that you like (if not all of them!) If not, don’t give up on finding your perfect sloth bag! There are more out there for you to find, these were just our favourites! 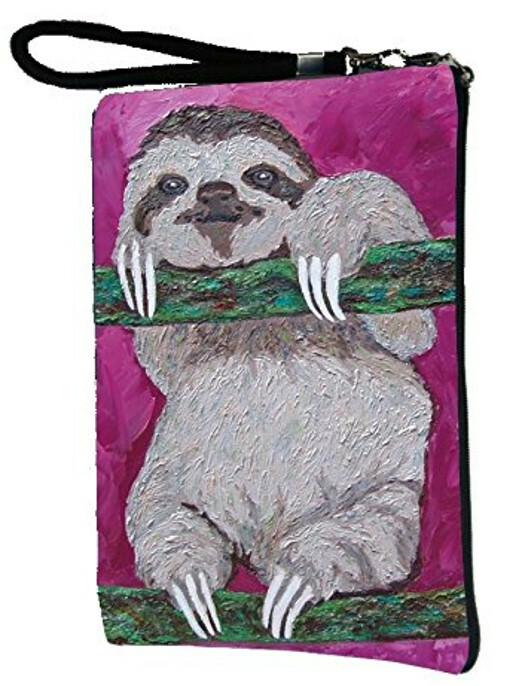 Which sloth bag do you think will be easiest for a sloth to carry?